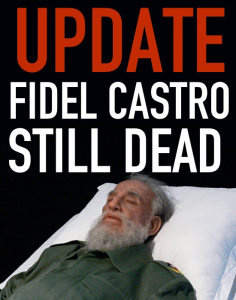 UPDATE 12/6/16: Perfect metaphor for how well communism(and all its “compassionate” variations) works when the hearse bearing Castro’s remains breaks down and has to be pushed by hand. 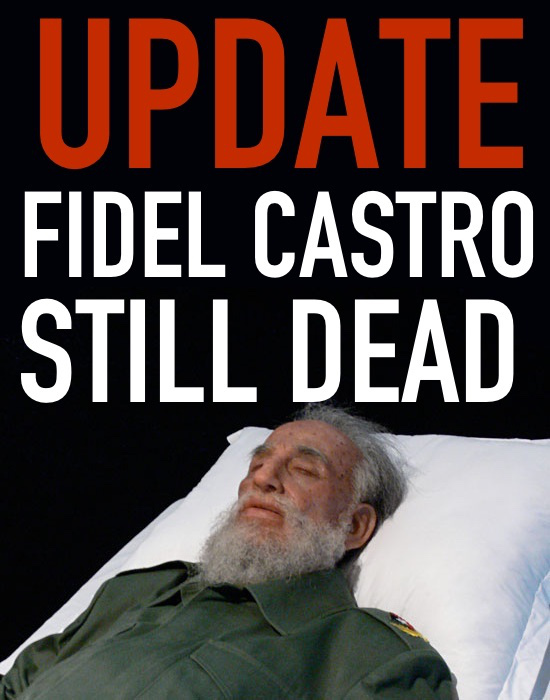 With sarcastic regret, this site apologizes for not including Fidel Castro here sooner among those tyrants, infamous and smalltime, whose lives have been lived for no other purpose than to cause suffering. The sphere of influence varies among humanity’s monsters. Some are just the local pot-stirrer, the pest, the vicious gossip & rumormonger, the thuggish toad doing Il Capo’s (El Commandante‘s!!) bidding. Perhaps the lesson perennially unlearned here from our own political Mafia is that there is no evil Capo like Fidel without cooperative underlings carrying out his orders, directly or indirectly. 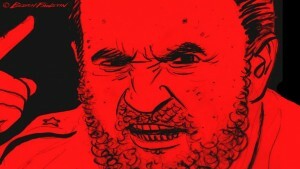 That includes those prominent intellectuals, celebrities, media pundits, pandering politicians, and the predictable Leftwing fanatics (like Black Lives Matter) outside of Cuba who, since 1959, could somehow blind themselves to the predictably murderous psychopath Castro always was, actively praising him, conferring on him the stature of Heroic Idealist of Historical Importance. Perhaps they really believe that murder and torture as means to utopian ends is just fine. Translation: any enemy of America is a good friend of mine. Translation: be very careful what you read into this, you stupid racist. Translation: subversion is way cool! 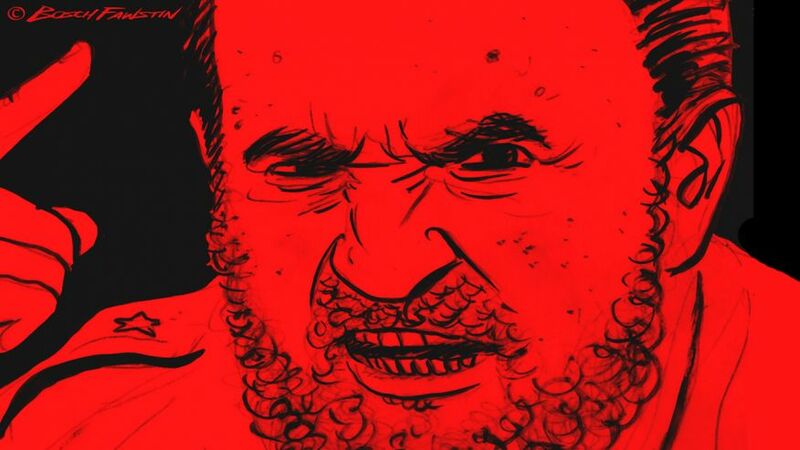 Actually, fellas, Fidel was a homicidal headliner in our lifetimes; and along with those he murdered, mutilated, terrorized, tortured and tormented in the name of Marxist Equality, we are very much at peace with the thought of him Frying In Hell (FIH). And in such good company: Stalin, Mao, Hitler, Pol Pot, Arafat, Chavez! Contrasting Obama’s typically sneaky ambiguity with Trump’s straight talk provides yet another reason to breathe a great sigh of relief as the Clinton/Obama chapter in our history comes to its merciful end. We have been in the clutches of Marx-inspired collectivists/master planners who, like the Butcher of Havana, have doled out deliberate lies about salvation for the sole purpose of gaining absolute power. With this most recent election, American Leftists like Black Lives Matter have missed the chance for similarly absolute, dictatorial power. They have admired the likes of Castro for going that extra distance and REALLY applying those noble Socialist principles. Never mind the blood-soaked consequences and that little thing missing called freedom. In America, bullet dodged. We celebrate our own good fortune with the Cuban people and wish them the blessings of life and liberty and pursuit of happiness brutally denied them for the last 60 years.